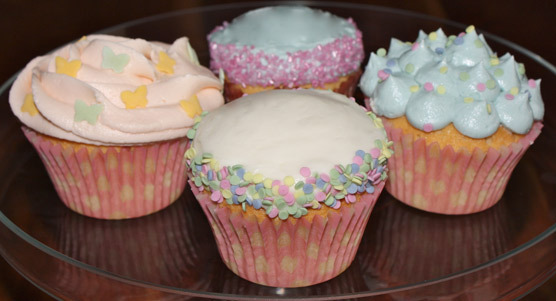 Recently I've been making quite a lot of cupcakes, so when BakingMad.com asked me to test their cupcake recipe, I jumped at the chance. It's where it all starts. In my day they were fairy cakes with a drippy bit of glace icing and a few hundreds and thousands. Nowadays they are perfectly piped creations worthy of replacing a wedding cake. Times have changed. 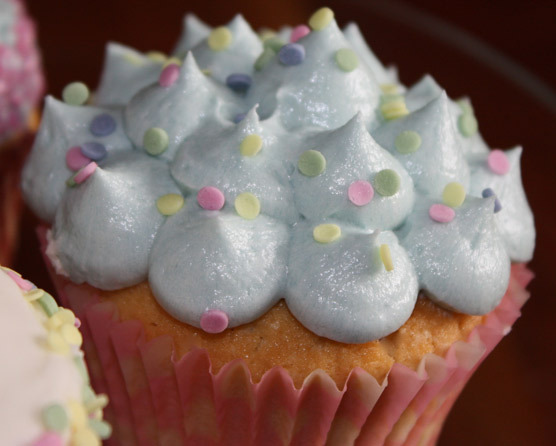 What I love about cupcakes is that they are so easy to make. A simple sponge mix can then be adorned with frosting, glitter, sugar paste flowers and even metallic sprays. If you get your base right, you're half way there. 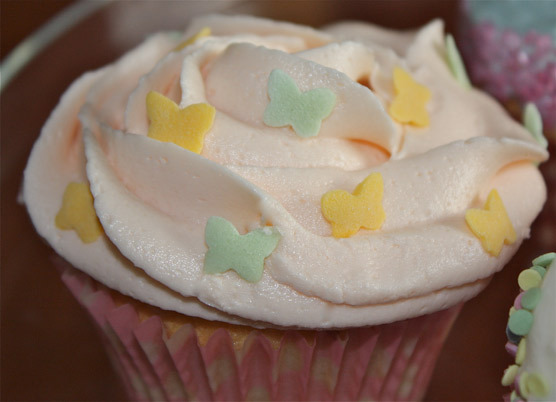 A pretty cupcake can transform a novice baker into an expert with the flick of a piping bag. BakingMad.com have a series of useful videos, talking you through each step of baking. They also give you useful tips along the way. Their how to make cupcakes video shows how simple it is to make a perfect cake every time. There are also masses of cupcake recipes to choose from. In order to rate the video I made the standard cupcakes and added coloured buttercream with some decorations. The video talks you through how to cream butter and sugar effectively, how resurrect a curdled mixture and how to get uniform cakes. I also found this fantastic decorating video. This tutorial is ideal for beginners, as actually seeing the process at each stage is reassuring. For those of you with more advanced skills, try out some of the different recipes or piping techniques. The recipe made light, fluffy cakes which also kept well in an airtight container. Disclaimer: Baking Mad approached me to test their recipe and method. They did not pay me to do this post.